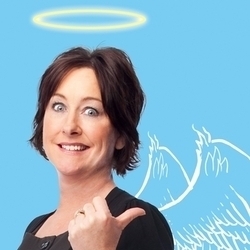 Fiona O’Loughlin is the self-styled Queen of Australian comedy and returns to the Gilded Balloon after too long an absence. ThisAlice Springsbased mother of five has always been a funny lady, but this year it is different, she’s doing it sober. The basis of the hour is the story of her life before and subsequently after her spell in rehab and visits to AA. She has always had the ability to entertain, but with the added sobriety factor, it seems to have sharpened her already impressive wit and sense of humour. She is hilarious in the descriptions of some of her more outrageous drunken exploits and is equally as erudite in her descriptions of her ‘illness’ and the descriptions of her vast extended family and their behaviour. Ms O’Loughlin is well worth the cost of a ticket, and I defy you not to have a good hour at her show.